Landyshade serves both homeowners and landscapers in Lancaster and York counties. We carry the highest quality mulch products, and we deliver quickly, often the same day as you place your order. Landyshade began, somewhat by accident, back in 1983. A third of a century later, Landyshade is a thriving business that provides a wide range of mulch and soil products, as well as employment for many dedicated workers. "In 1983, we began the mulch business," recalls John Landis, owner of Landyshade Mulch Products. "Now we receive hundreds of tractor- trailer loads of mulch and screened topsoil every year, and we deliver it to landscapers and consumers in Lancaster and York counties with our own trucks." John and Doris Landis are an entrepreneurial couple who have always kept their home and property beautifully maintained, and it was that respect for their property that led to the start of one of their major businesses, Landyshade Mulch Products. 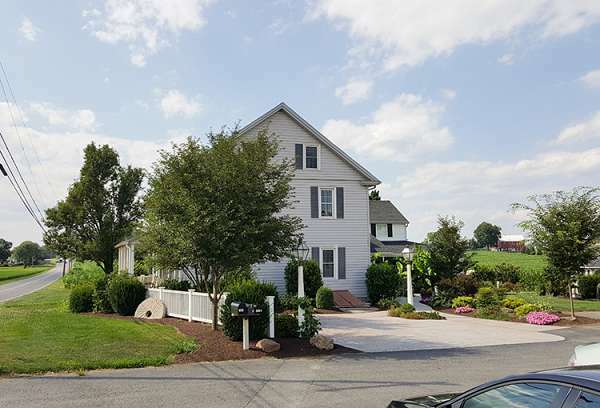 One day, they decided to spruce up the flower beds and the garden around their large farmhouse, so John picked up a load of mulch from a company in Manheim in his own truck and dumped it out behind the barn. Soon, friends from the neighborhood were stopping by to ask if they could buy some of the mulch that he was using. After hauling several loads for friends, he put out a small sign along the road in front of the barn. It wasn't long before people were stopping and asking if they could have mulch delivered to their homes. Thus, a business was born. And so, you ask, what is mulch? Where does it come from? Here is a primer from the Mulch Master himself, John Landis. "Our stuff comes from tree bark, trimmed off at sawmills in Perry County. They grind the bark, add water and keep turning it over until it gets a nice brown color. Then they send it to us." So take a look around, check out our list of Mulch Products, or contact us for more information!